The Drain Man was proud once again to be sponsors of the EJ Whitten Foundation Race Night at Moonee Valley racecourse last Friday night, 27th February. It was a fantastic night to help raise awareness of the Foundation’s work in fighting Prostate Cancer. We had a number of guests from Brad Teal Real Estate, GHT and Mylora Holdings who joined us in the prestigious Committee Room at the Moonee Valley Race Club. Guests enjoyed a beautiful meal, with drinks and plenty of racing action. The featured race of the night was the EJ Whitten Foundation Handicap which was run over 1,000 metres. The winner was No 9, Tuscan Sling from No 10, Aware, with No 14 Shiso, in 3rd place. 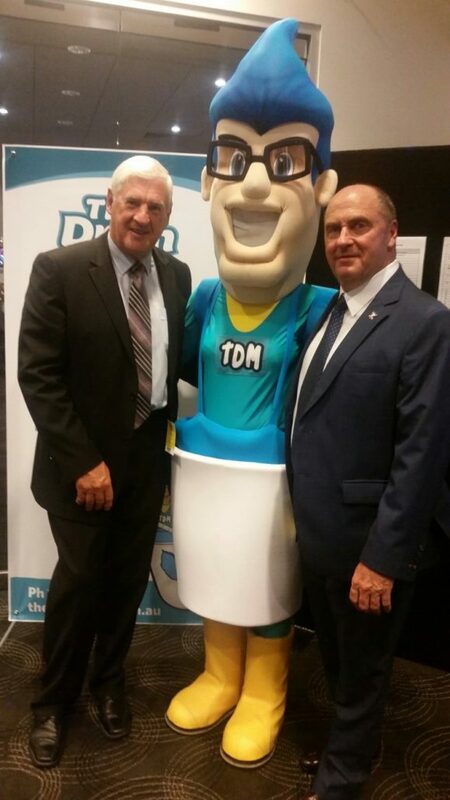 The Drain Man has been a long-time supporter of The EJ Whitten Foundation and are very proud to be doing what we can to support men’s health and help find a cure for Prostate Cancer. 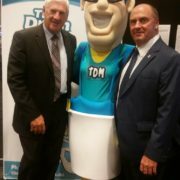 Among the guests of the evening, was AFL Legend, Peter Hudson and of course the man himself… Ted Whitten Jnr! The Drain Man are Australia’s original specialists in blocked drains & plumbing services. Servicing Melbourne, Sydney and many other regions throughout Australia, we have over 15 years expertise in drain relining, blocked drain plumbing, CCTV drain inspections, blocked toilets, sewerage systems, overflowing drain services and other drain/sewer/pipe related services. ALL FLOODED OUT? The Drain Man says Do Not Flush!